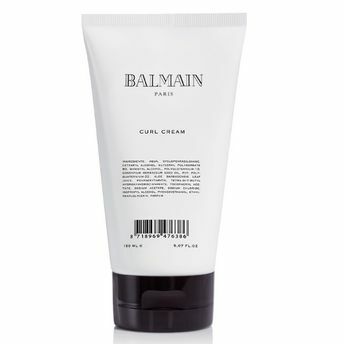 Balmain's Curl Cream, fortified with a lightweight formula, activates and defines curls resulting in soft, bouncy and well-shaped waves. The signature Balmain argan elixir and silk proteins shield the hair against heat styling and protect strands from harmful UV rays. The Curl Cream helps fight frizz without flattening texture and defines spirals without making them crunchy. It hydrates the hair resulting in flexible, natural curls that last all day.